Byron Bay is known to be a haven for international students attending language schools to improve their English. These beautiful young people come from all over the world to enjoy the weather and pleasures of Byron. Over the past twelve months, Prue Mitchell and her partner Michael, have had a number of students stay in their home where they are offered hospitality… ‘real’ Aussie style. In fact they often never want to leave. 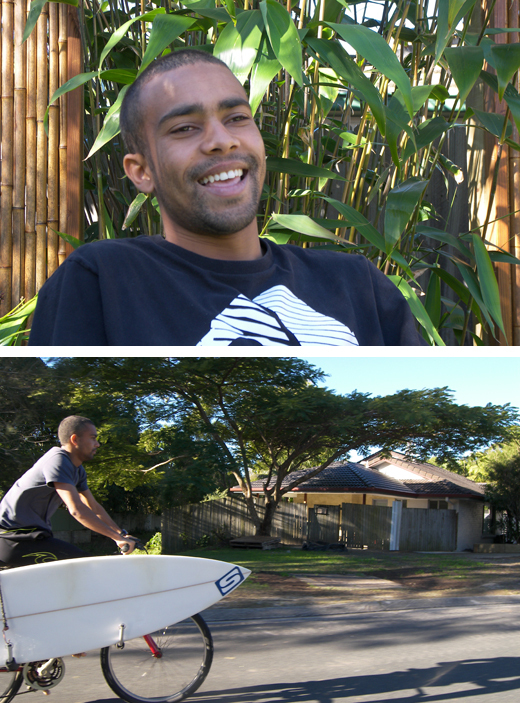 Adriano is from Brazil and gave us some time this week to share what it’s like to come to Byron and enjoy the high life, the surfing and especially the freedom (which we often take for granted), whilst studying of course. 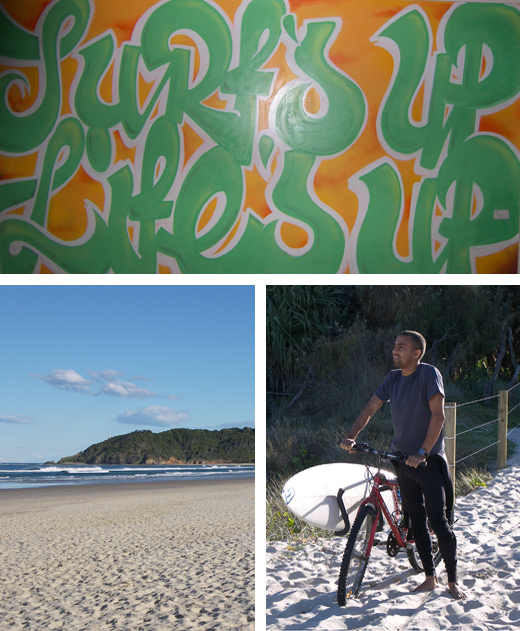 So Adriano, what brought you to Byron Bay? I came to Australia and Byron Bay one year ago. I travelled to some cities – Melbourne, Sydney, Brisbane – but I love Byron too much and so I wanted to come back. The people are different here, more open minded, cheerful. And so I needed to come back. 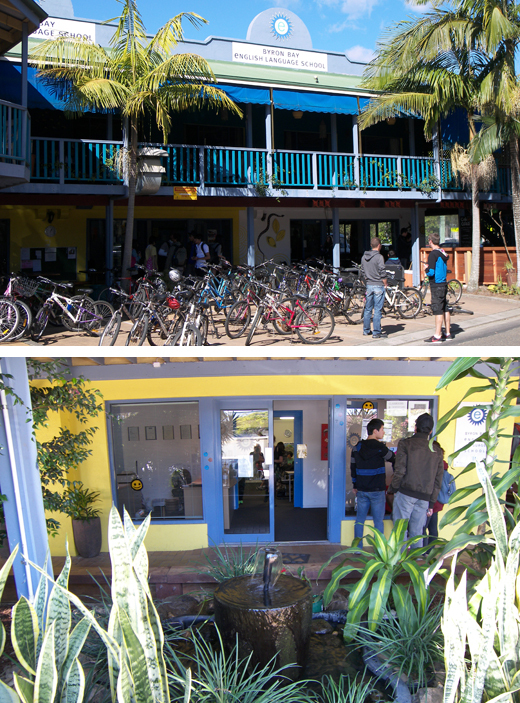 I stayed at Byron Bay English Language School (BBELS) the first time and saw what (the courses) they offered. So I wanted to come back here and study English. My work has an agreement with BBELS and so I asked Paula (Marketing Manager) if we could stay there. What is your work in Brazil? I work for a travel agency in Sao Paulo, Brazil called Kangaroo Tours. They are an agency for many international English language schools, including BBELS. I have been working there for 9 years, firstly as an office boy, then later an administrative assistant. 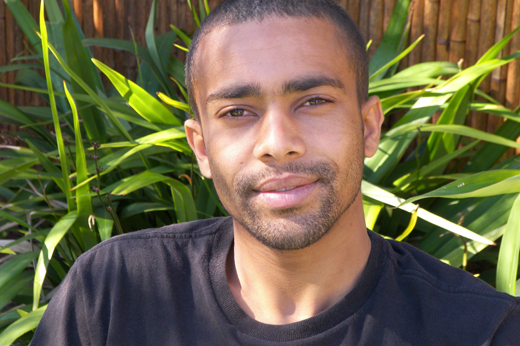 I left the company in 2006 (and started) to study IT management and computers networking systems and when I finished, I went back to Kangaroo Tours as their Web Master. It is good for my job. A lot of programs I use are in English so it is better if I understand English. I also like to travel and many countries speak English, it is better for travelling to speak English. What do you like about learning English at BBELS? I knew this school by my friend. There are many schools on Kangaroo Tours website but because I have been here before I thought I would go to BBELS. Before I came here, I told my boss I want to come to Australia for 2 months – he is Australian and said I could go to Melbourne and stay with his brother and get a good deal because of the work connection. But I said no, I want to go to Byron Bay. I prefer to pay more and go to the place I wanted to go. If you want to save money you can go to the Gold Coast for example, it is a bit cheaper. I asked BBELS if they have any special staff discounts but they said no. I decided to come anyway. 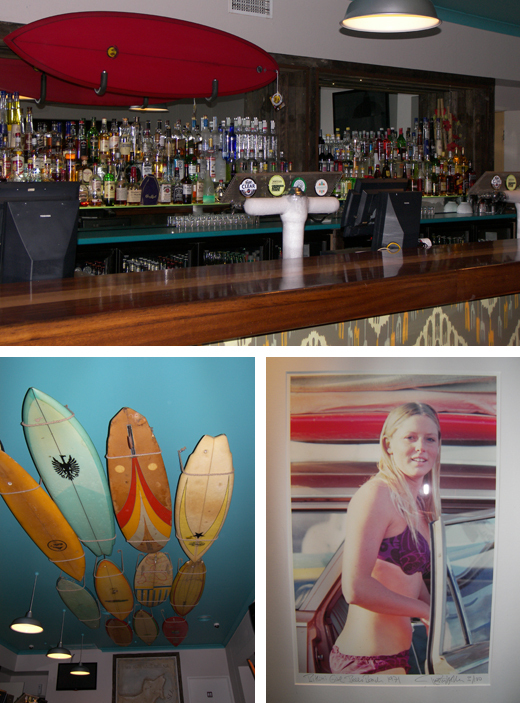 What is it that you really like about Byron Bay? The lifestyle of the people. You can see hippies on the street and the way people live here. People ride bikes, girls skateboard and no foot (shoes). I feel really surprised cos I never seen this before. It is really strange for us Brazillians. In Brazil it is more serious. Do you think it is because Byron is a holiday destination? No I think it is more than that. I think the freedom. There is a freedom about the place…and of course the beautiful beaches. It is a special place. What have you been enjoying in particular? The surfing and the night life. I usually go to Cheeky Monkey’s on Thursday for the wet t-shirt competition then Friday and Saturday we go to the Beach Hotel and Woody’s Surf Shack. Where’s your fave surf break? Tallows beach between the Ti Tree lake and Broken Head. The surf spot I like too much is Boulders beach at Lennox. Hitch and ride my bike. Hitching isn’t done in Brazil but I heard it was safe in Byron Bay. TALLOWS BEACH – SURFS UP! Where do you stay in Byron? I’m staying in homestay with a family. No, two pets. One of the pets is a big fat lazy cat. The lifestyle of the pet here is quite different as well. They don’t make noise just sleeping and eating all day. How long have you been doing homestay and what’s the arrangement? Two months. When I come to Australia I buy my ticket and four weeks of accommodation. I could do a student house, share house, or homestay. I chose homestay cos I thought it would be better to speak English. I chose to stay just one month in homestay and then I go to student house, but the family were really amazing and I kept staying. I can feel the original Australian culture living with them. They walk every morning and are active and they cook for themselves every night, usually good meals…many kinds of dishes I have not eaten before. It is good to see the way they live. In Suffolk Park. It is a little bit far from town but for me it is good because it is only five minutes from where I like to surf, and I don’t mind riding into town. Everyday I have been at school and then after school I come to homestay house to get my surfboard and go straight to Tallows beach. So I think this is the best moment of my life…go to school, come home to get my board and go to the beach. Oh yes. So Byron has been good for my surfing and my English. Are the girl friends improving too? Oh yes, so many beautiful girls here. Your two month English course has finished. What are you doing now? I plan to travel to Bali for two weeks and then I want to come back to Byron. I will need to leave Australia again to extend my visa. I don’t want to leave Byron I love it here. I plan to travel a few days here and there but base myself in Byron. Are you planning to go back to your job? How does your boss feel about you extending your stay? I have not heard from him yet. I am excited for his answer. Will you do another course at the school? Yes, I would like to do two more eight week courses. How do your parents feel about you extending your stay? They are ok but my mum misses me. I miss my family and friends too…especially my nephews (Arthur five months & Gabriel 3 years), they are my sister’s children. I have only one sister she is two years older than me and married for five years. Are you different to your friends at home? Yeah, some of my friends have got married but I just want to have a job to live and enjoy life. I prefer not to get married so soon. I want to feel free. I don’t mind working but I want to enjoy life and travel. My mother makes joke with me ‘ah you need to get married’ but I say ‘no…I need to enjoy the life. Now is not the time’ (to marry). Who in your life has shaped you as a person? I have many many people. But one is my boss and I have been reading some books ‘On the Road’ by Jack Kirowac that have influenced me. My father also. I think my father is the most important because when he was younger he spent all the time travelling – not overseas but in our country. I think this is important and he was important to me. He was in his 30’s when he married my mother who was about 25. This kinda sums it up really. We live in a great community. Thanks Adriano. 1 What’s your fave Byron cafe? Fresh Cafe (now Utopia). 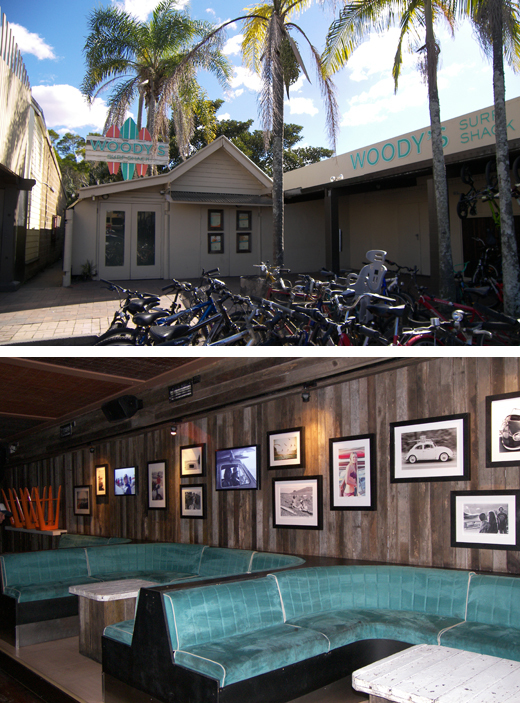 And Woody’s Surf Shack (night club). 2 What’s your fave thing to do in Byron? 3 Is there anyone in Byron who has inspired you? The people generally have inspired me. The community…when I hitch…every lift I have had the person has been like my neighbour yet I have never met them before. 4 What would we find you doing on a typical Byron Saturday morning? Sleeping and eating jam on 3 slices of bread with coffee. 6 What’s your favourite Byron shop? I’m not really a shopper so it would have to be the bottleshop! 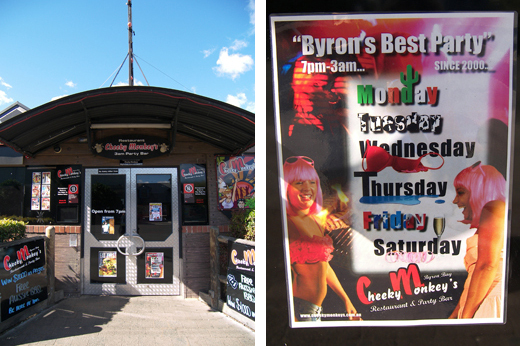 7 As a ‘local’ what tip would you give a visitor to Byron? Go to the lighthouse of course, Wategos, The Pass, have some beers at the Beach Hotel. Go to other beaches like Lennox Head, go to Nimbin and the Tweed Regional Gallery.